Dara Security is an award-winning security-focused company, founded by leaders in the information security industry. Dara Security has worked with numerous retail organizations, e-Commerce sites, payment application software vendors, financial institutions, medical organizations, and many other businesses. As seasoned providers of information security services, our engagements involve standards such as PCI DSS, PA-DSS, P2PE, HIPAA, FERPA, SOX404, and ISO 27001/17799. Dara Security strives to provide highly accurate and timely security assessments designed by industry experts to satisfy your requirements. We offer various services to meet any organization's needs. We have worked with organizations of all sizes within a variety of industries. Dara Security has extensive experience helping members of the payments industry secure data and become compliant with card brand and industry mandates, including the Payment Card Industry Data Security Standard (PCI DSS), Payment Application Data Security Standard (PA-DSS), and the latest P2PE standards. Penetration Testing tests the security surrounding externally connected systems from the Internet, as well as within a Corporate Network. Dara offers Web Application Penetration Testing, Wireless Testing, as well as Social Engineering to cover all aspects of network security. Our size and experience level allows us to provide a solution that truly meets your company's current and future security management needs. Dara Security can work with you to build a security program or to provide point solutions to validate your current programs. Our experience in security regulations (PCI, FERPA, ISO 27001, HIPAA, TR-39, SOX404(b), and GLBA), standards, and frameworks will help you establish a complete program where your organization fully understands the risks to your system and how best to defend your network. As a software company, it's perfectly natural to abhor compliance and security. I don't. I look forward to our PCI Assessments for the simple reason that Dara Security is my favorite vendor across the board. Everyone involved at Dara Security has been wonderful to work with! The technical team is incredible about following up. Dara Security has helped us through multiple PCI projects, and we'll continue to use them in the future. Dara Security was extremely efficient during our PA-DSS assessment with clear and timely communication. The report was filed ahead of a deadline and was accepted by PCI SSC from the first submission. Our experience with Dara Security's service on PA-DSS assessment exceeded our expectations. High professionalism and broad experience in the matter resulted in quick verification for our application. 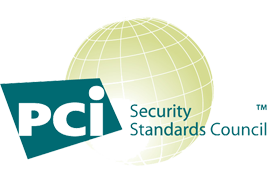 Between the always-quick turnaround of questions, the depth of knowledge on all things PCI, and the streamlined manner in which they conduct their services, I honestly can't imagine trying to manage our many compliance needs using any other company.